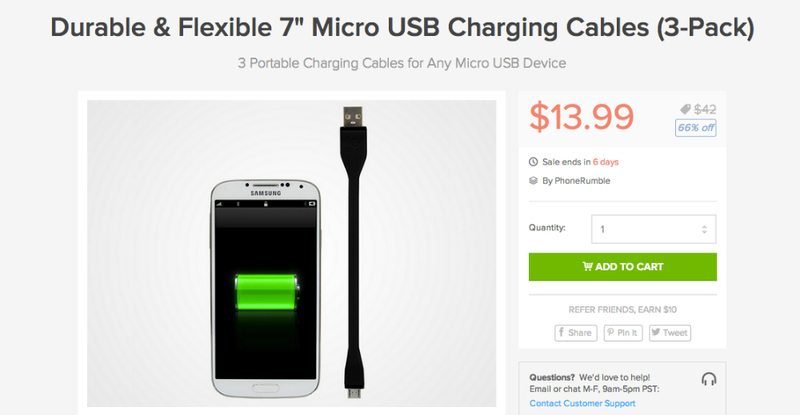 For a limited time on the DL Deals Store, folks can grab a pack of 3 durable and flexible micro USB cables for $15, capable of charging most Android devices you may own. The cables measure in at 7″ long, featuring a textured, “armor which protects the cable and connector housings.” If you own a few portable battery packs or your car has a USB port for charging phones, then these little guys will be perfect for you at just $15. Interested in a 3-pack of micro USB cables? Hit up the link below.